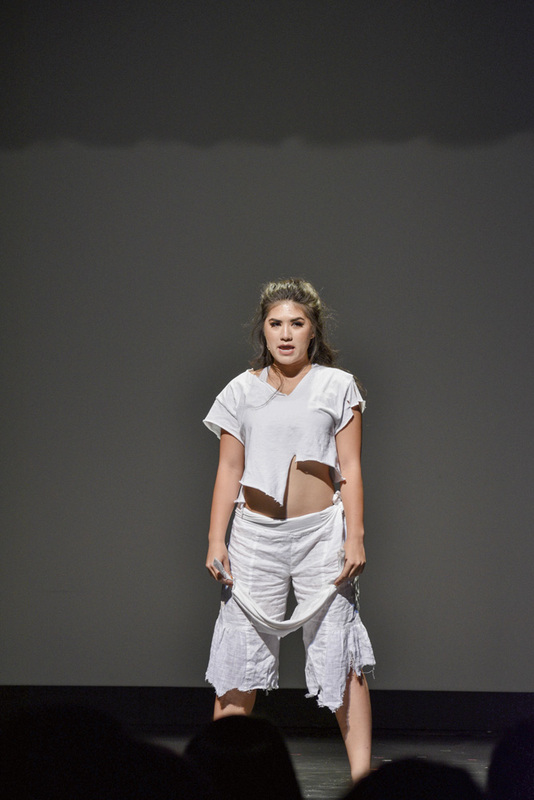 Rebel leader Mana (Dominique Mihaljevic) gets captured by the emperor’s guards. 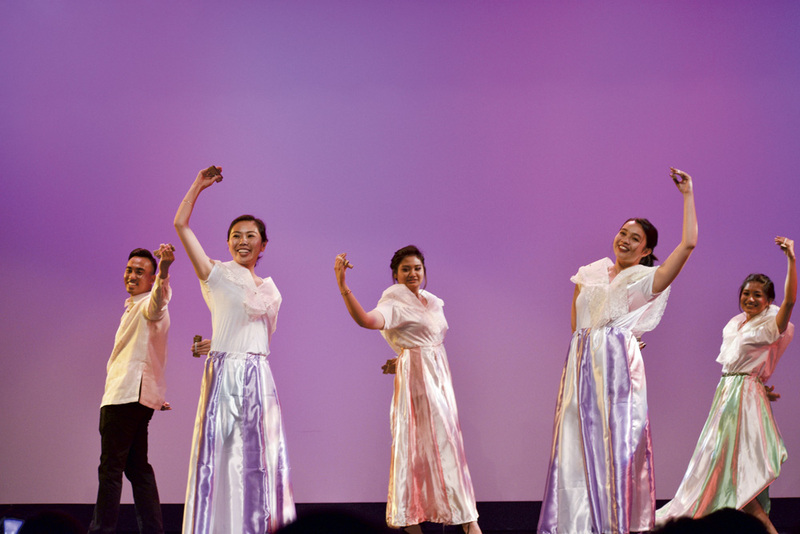 Dancers perform traditional Maglalatik dance. 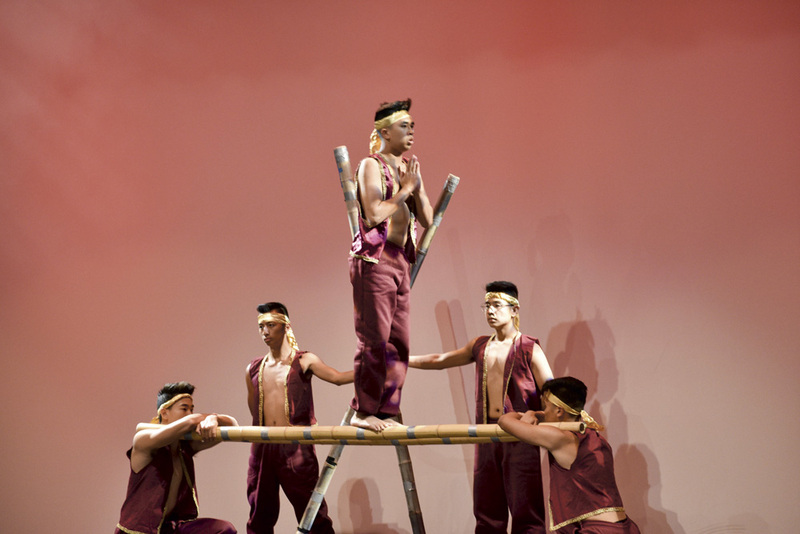 Warriors prepare to go to war over control of Kahilera. 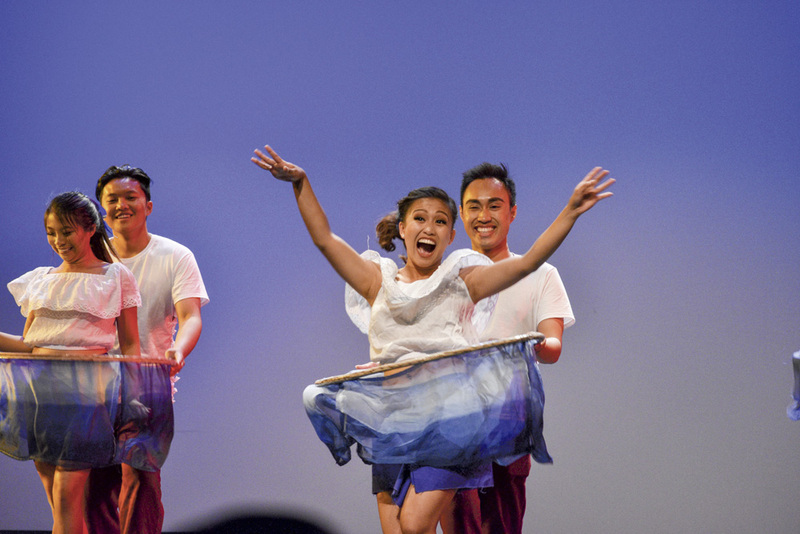 Dancers showcase Kahilera’s annual festivities. 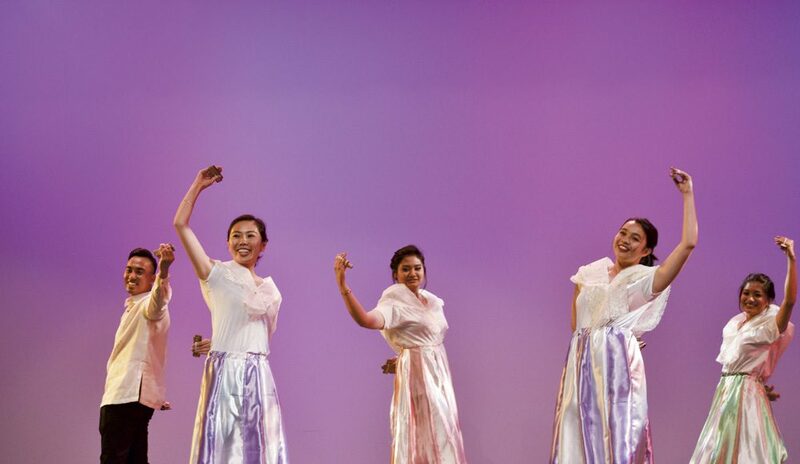 Dancers enjoy performing a traditional Filipino dance. 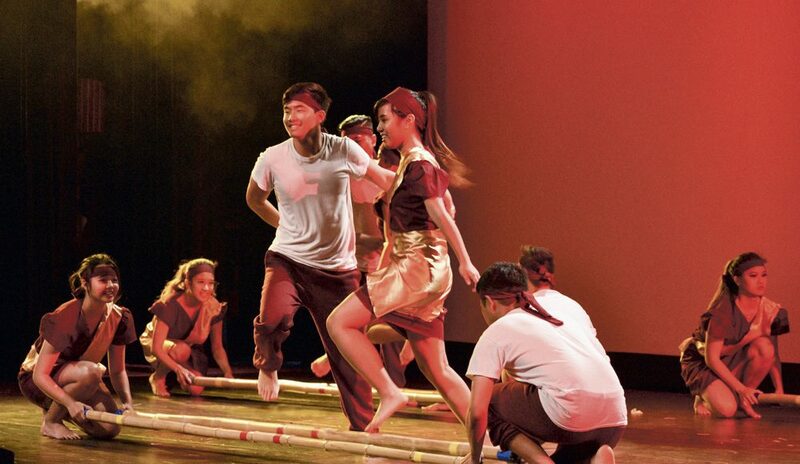 Dancing partners have fun with traditional dance. 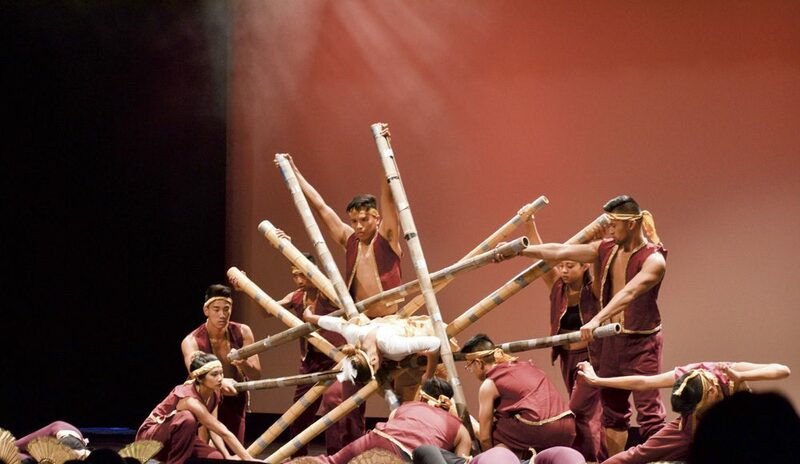 Warriors perform dance to intimidate enemies. 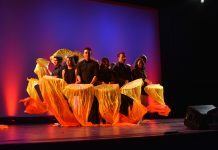 Beautiful dancers perform traditional Pagapir dance. 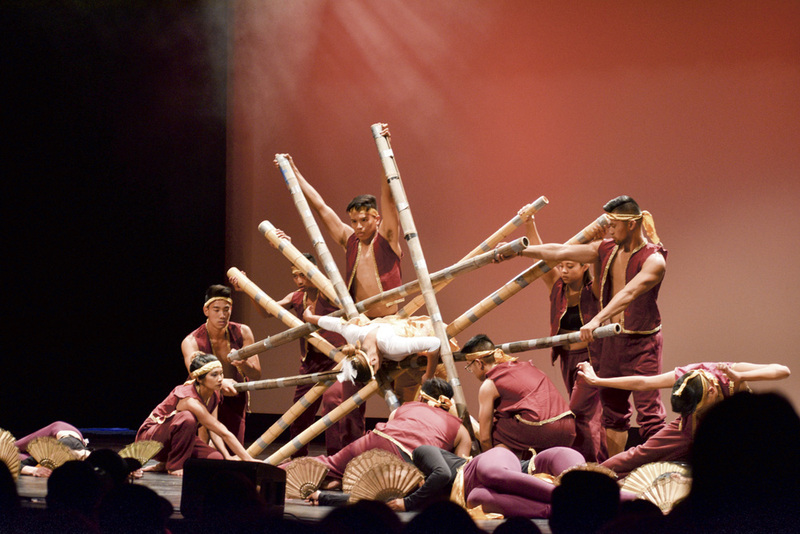 Performers incorporate modern dance with traditional festivities. 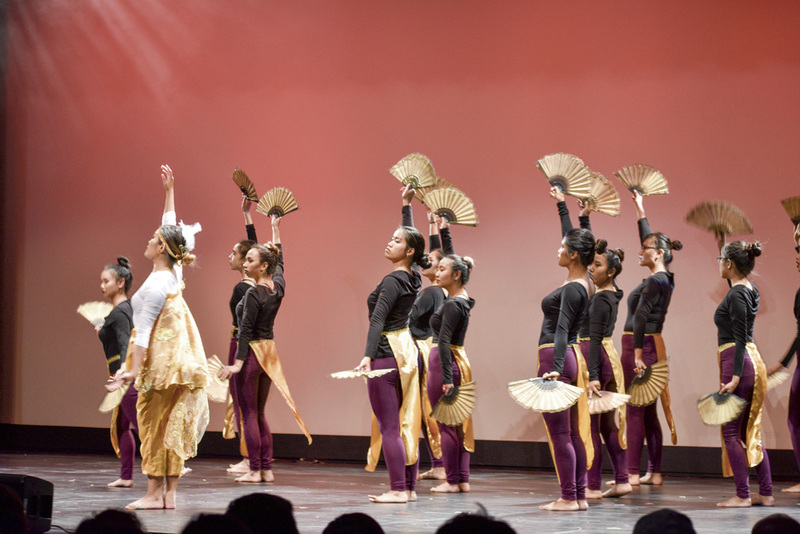 Dancers take over the stage with their Pagapir dance. 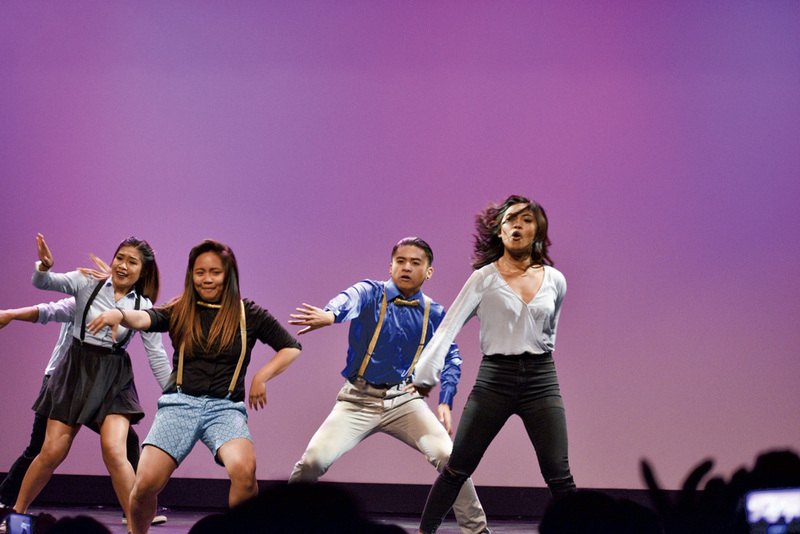 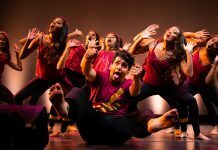 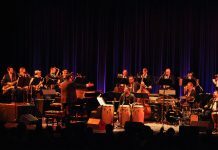 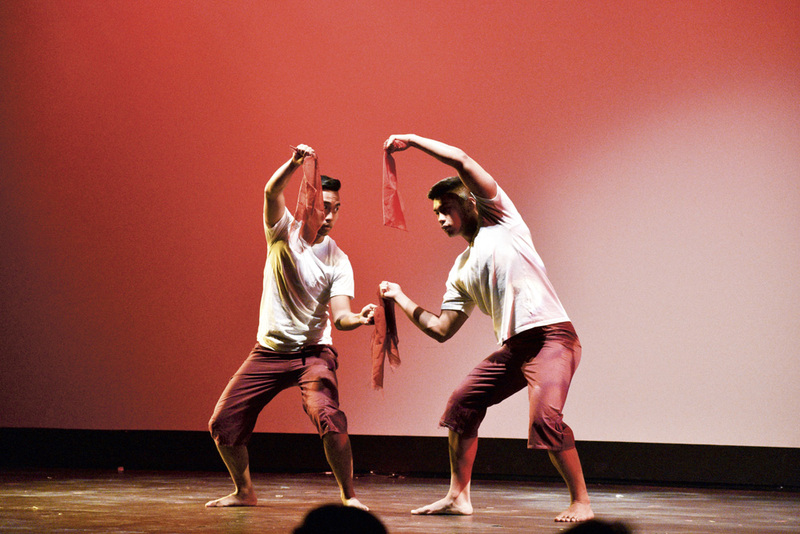 Student performers fuse modern dance moves into folk celebration. 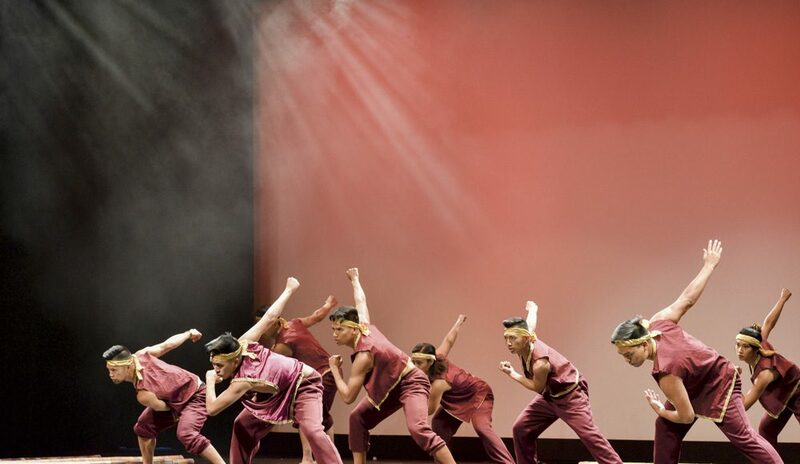 Enemy warriors capture Pagapir lead. 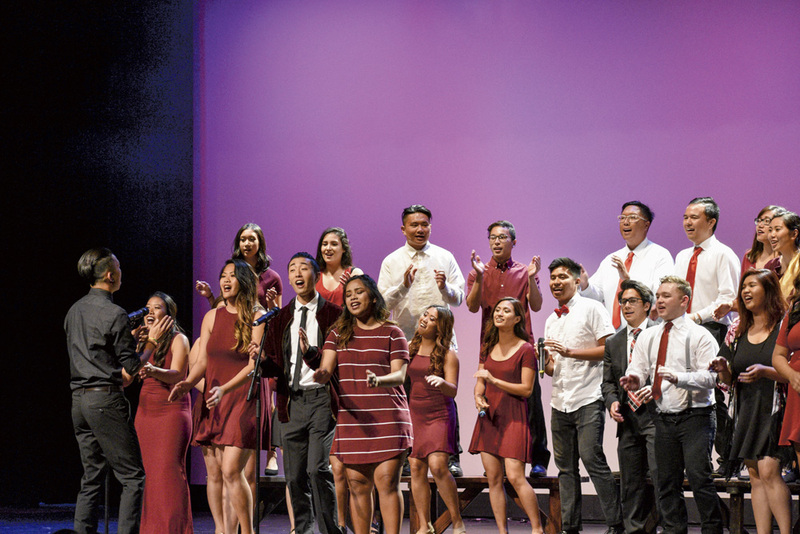 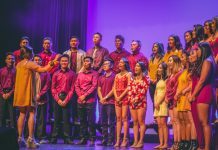 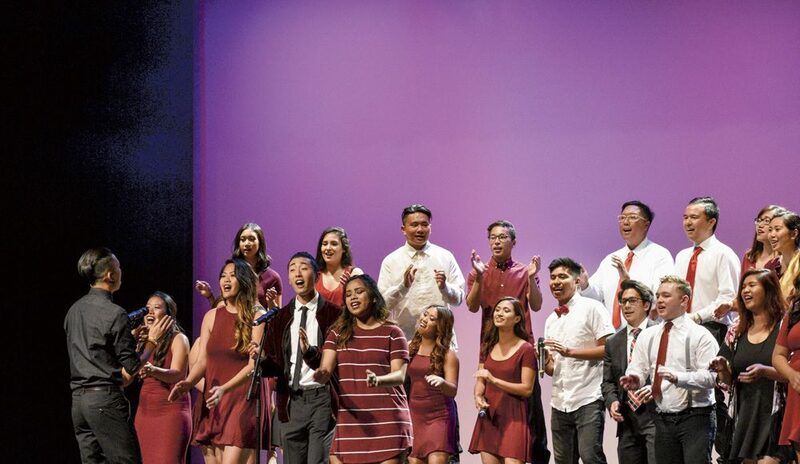 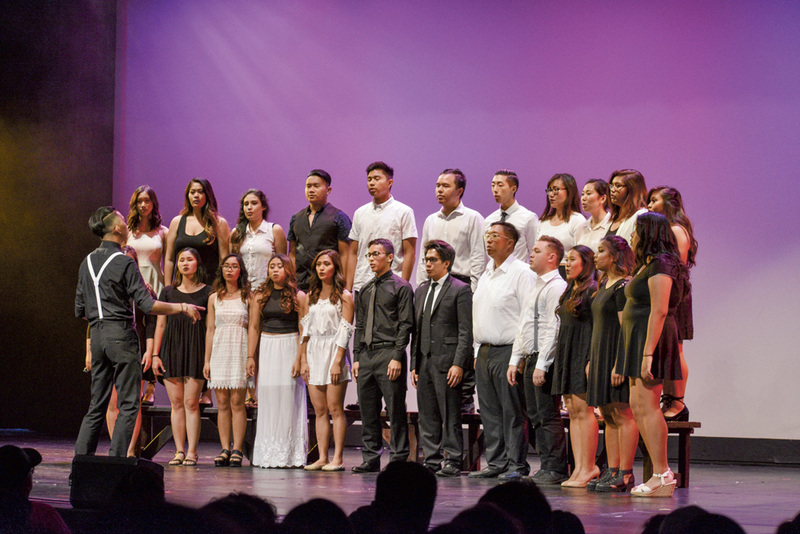 The Pilipino Cultural Night Choir performs an acapella version of “Somewhere Over the Rainbow." 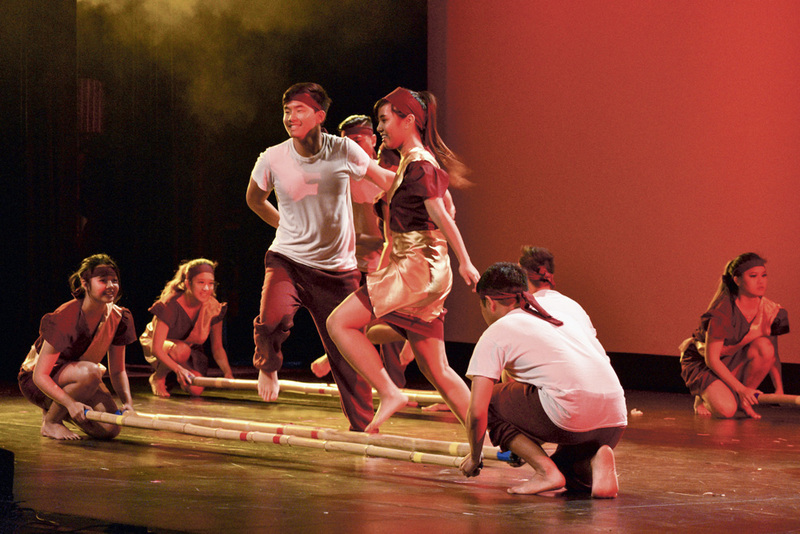 Dancers show off current dance moves during traditional festival. 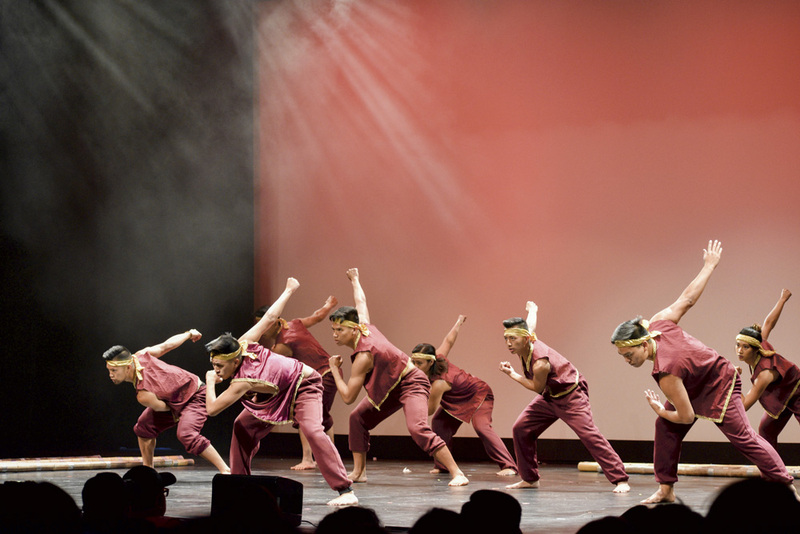 Dancers deliver a powerful Quan to the audience. 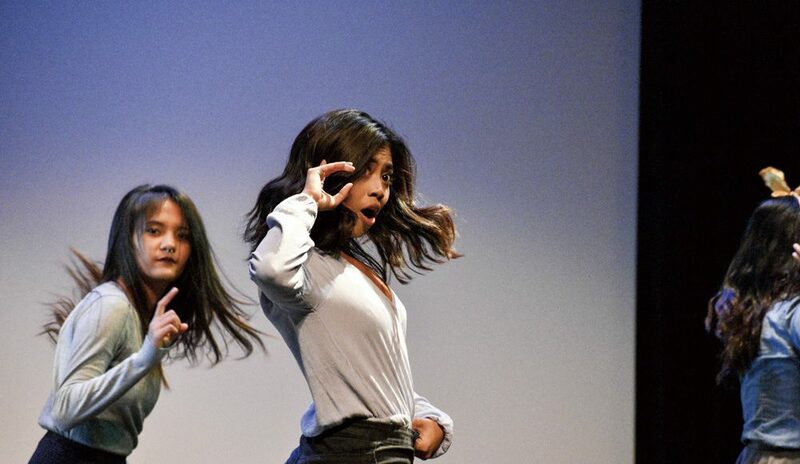 Student performer showcases beautiful dance routine. 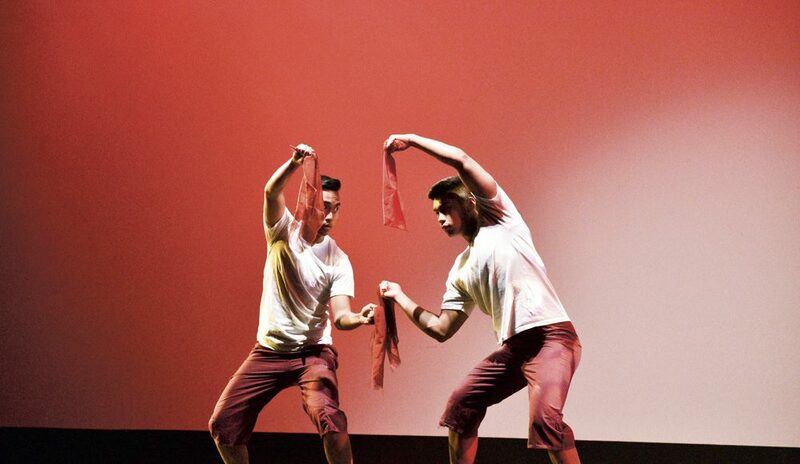 Performers show off an energetic dance routine. 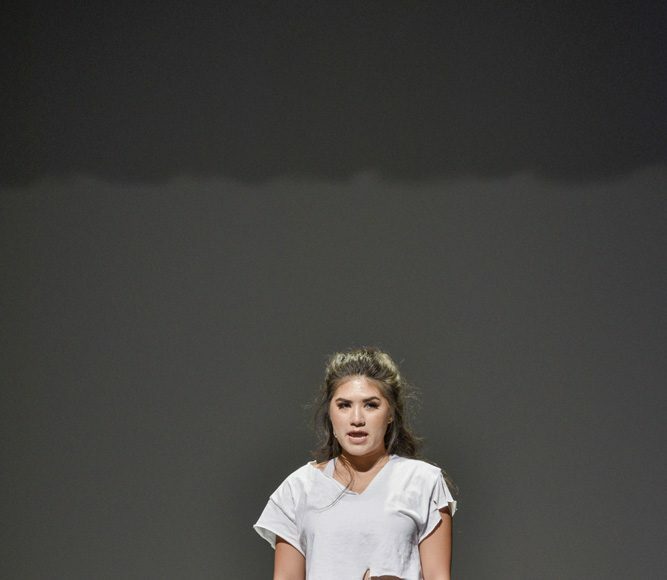 Mana (Dominique Mihaljevic) gives protagonist trio opportunity to return back home. 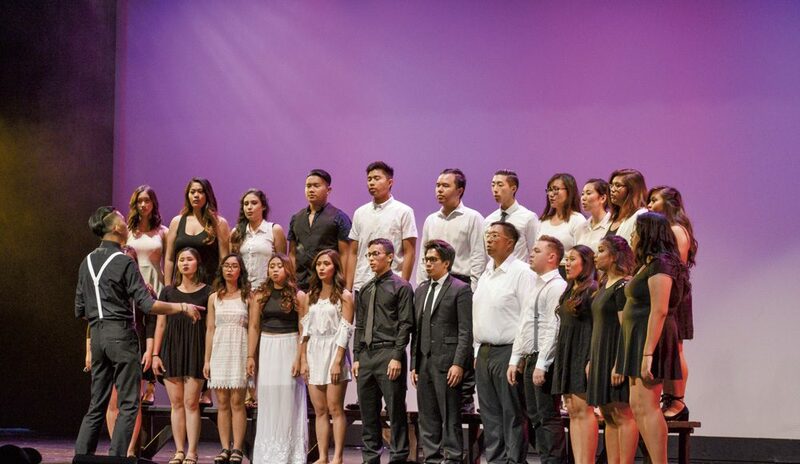 The Pilipino Cultural Night Choir performs “Seasons of Love” from RENT. 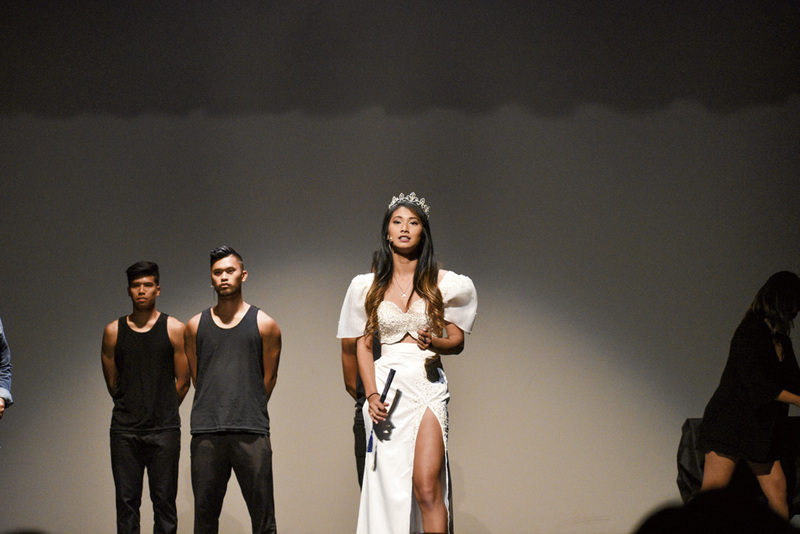 Queen Juanita (Kaitlin-Megan Rivera) pleads visiting friends to fight against tyranny. 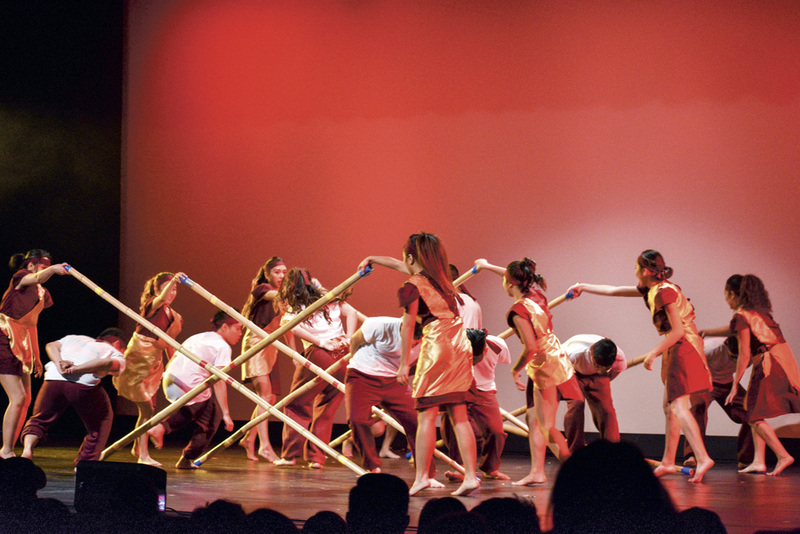 Dancers perform the Tinikling folk dance. 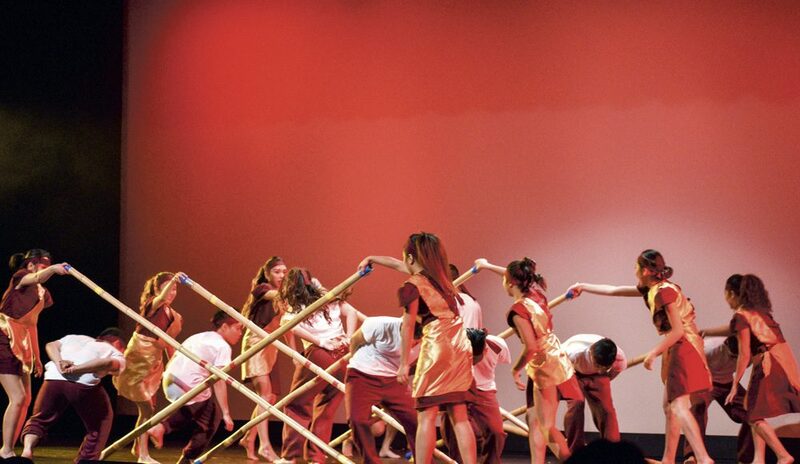 Dancers perform the traditional Tinikling dance. 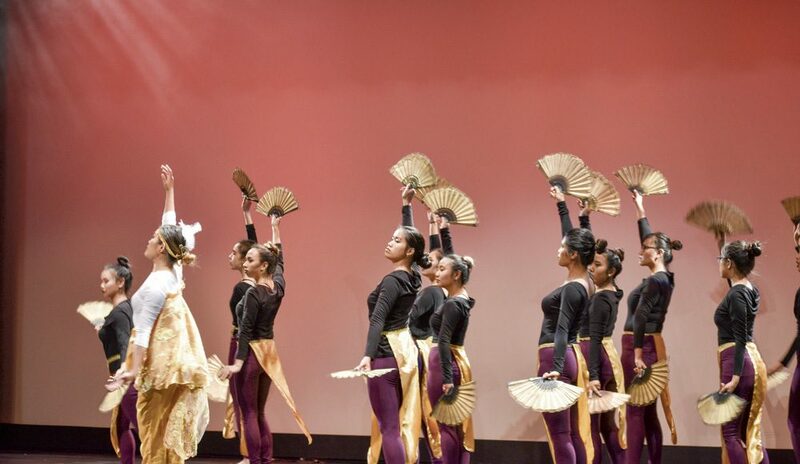 Warrior dancers prepare for battle. 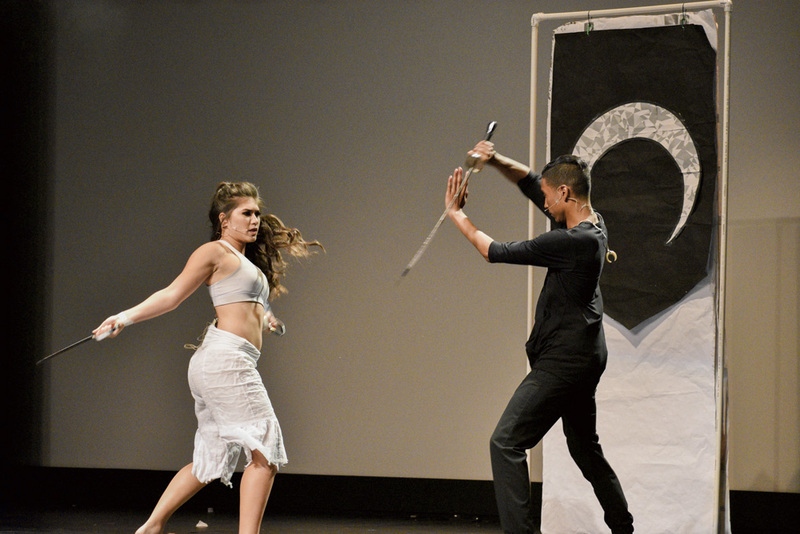 Dominique Mihaljevic comes out on stage as the goddess Mana. 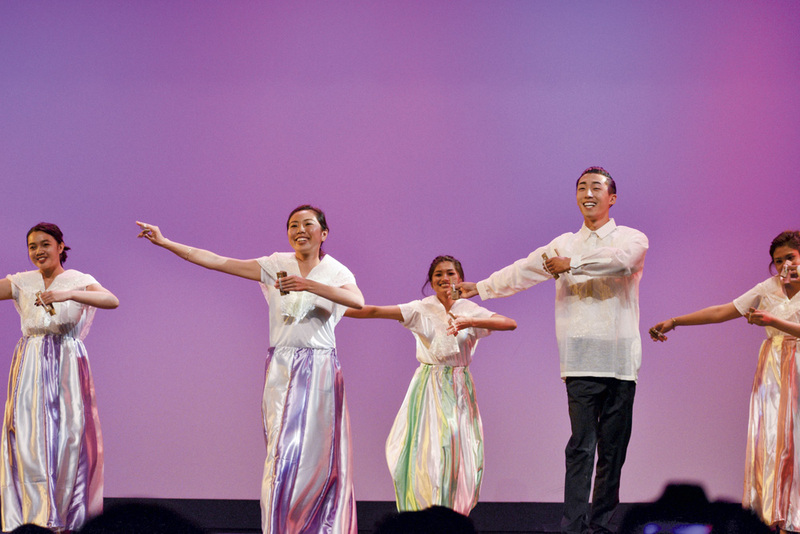 Performers showcase a gentle dance routine. 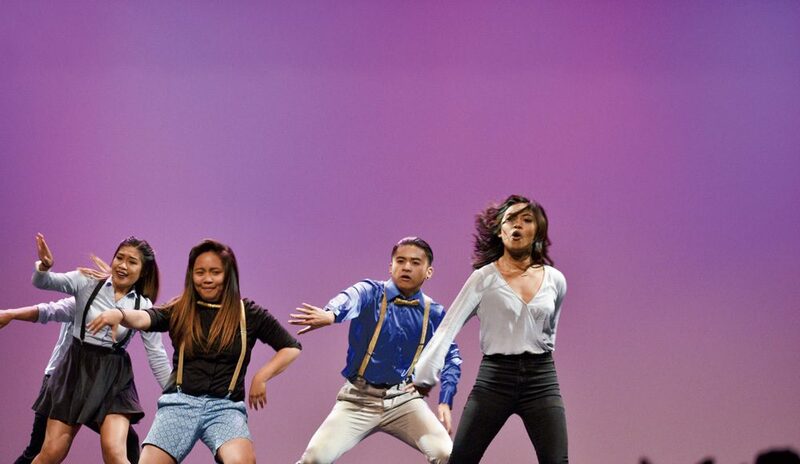 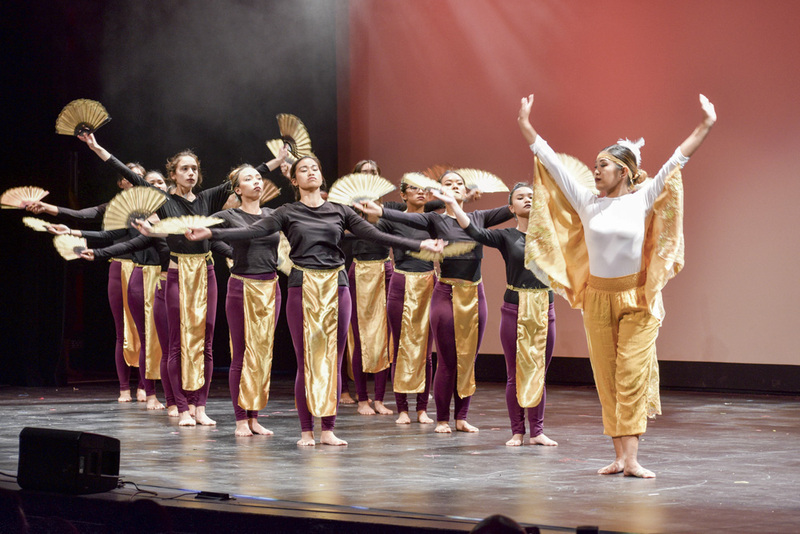 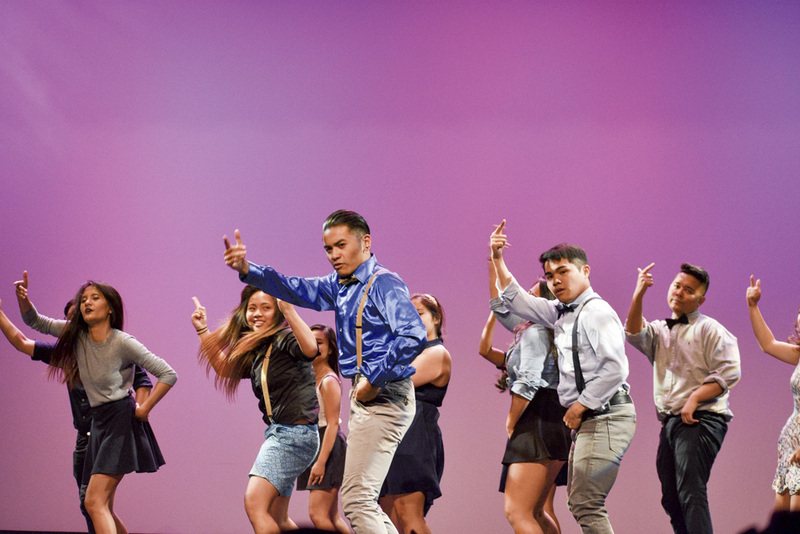 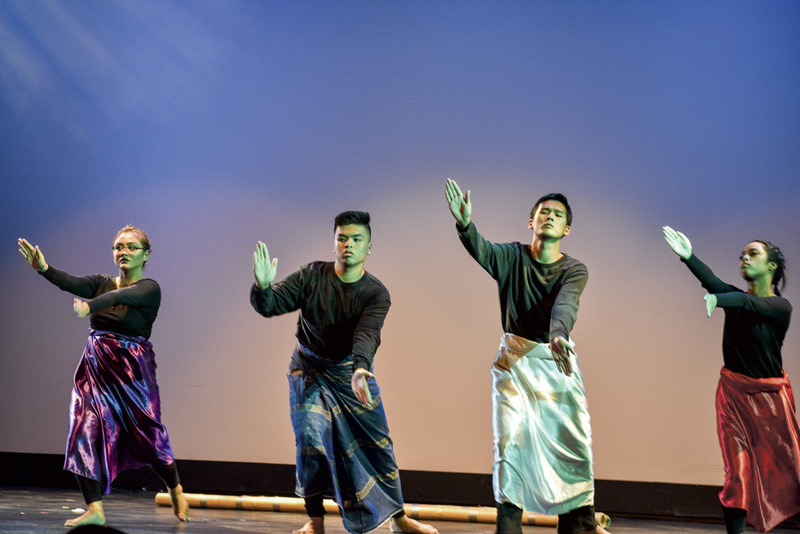 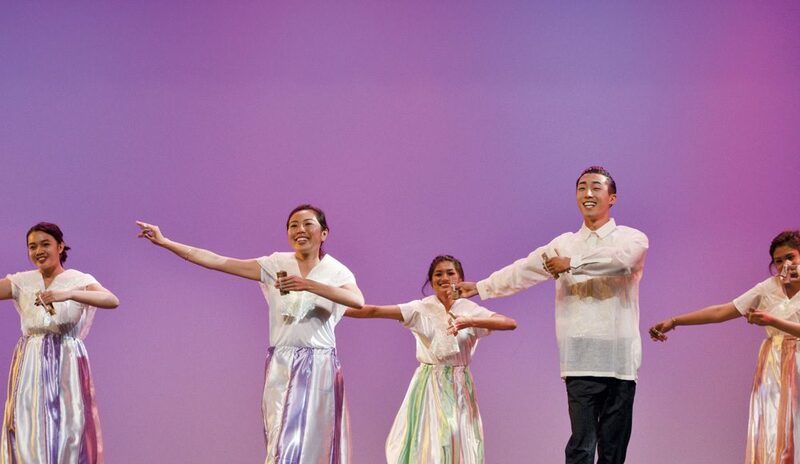 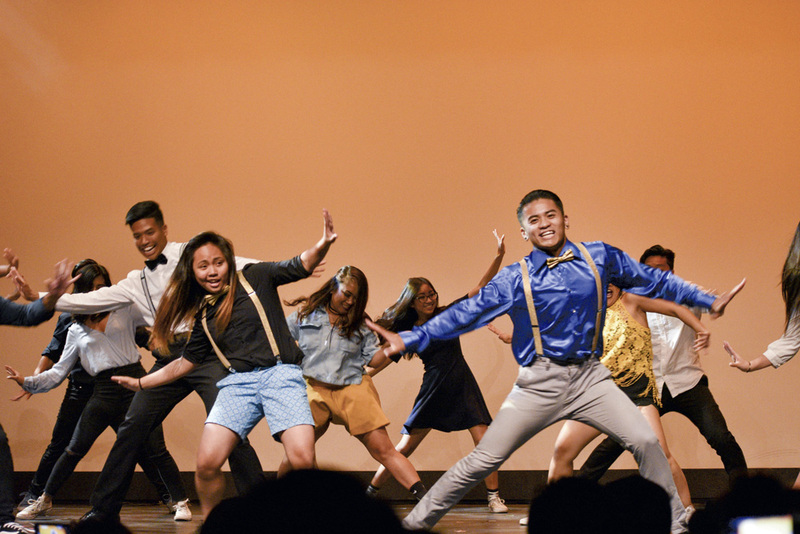 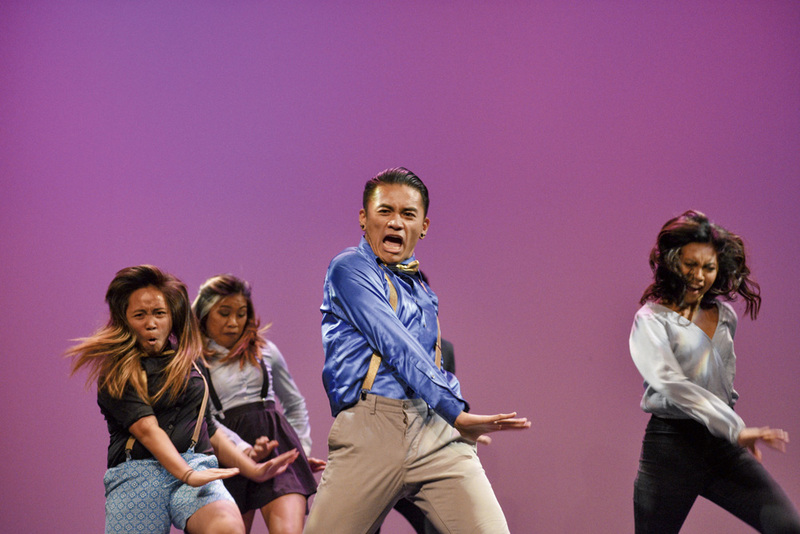 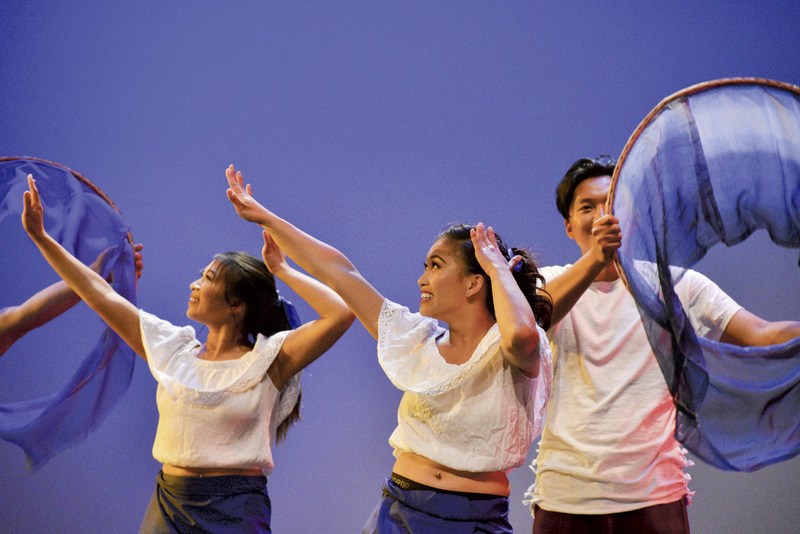 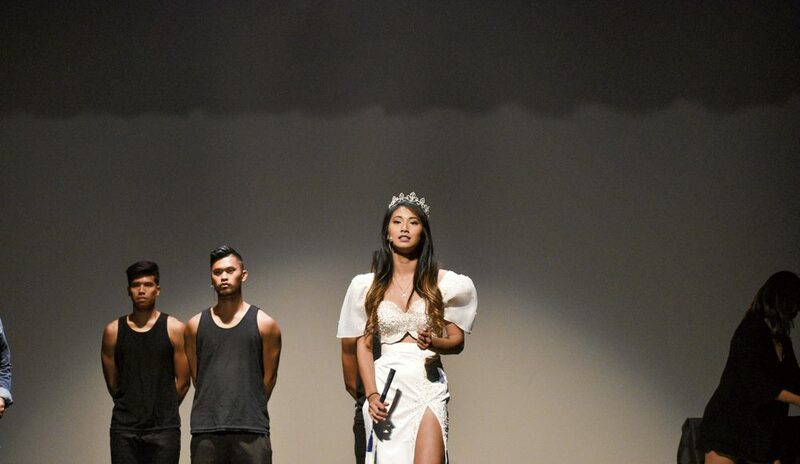 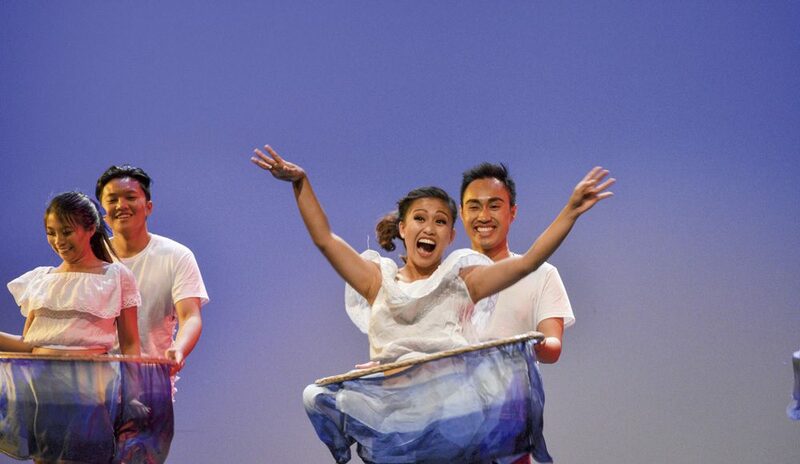 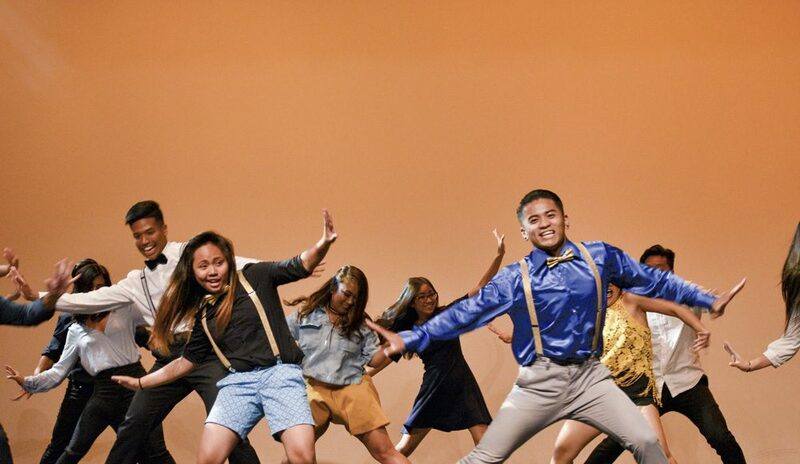 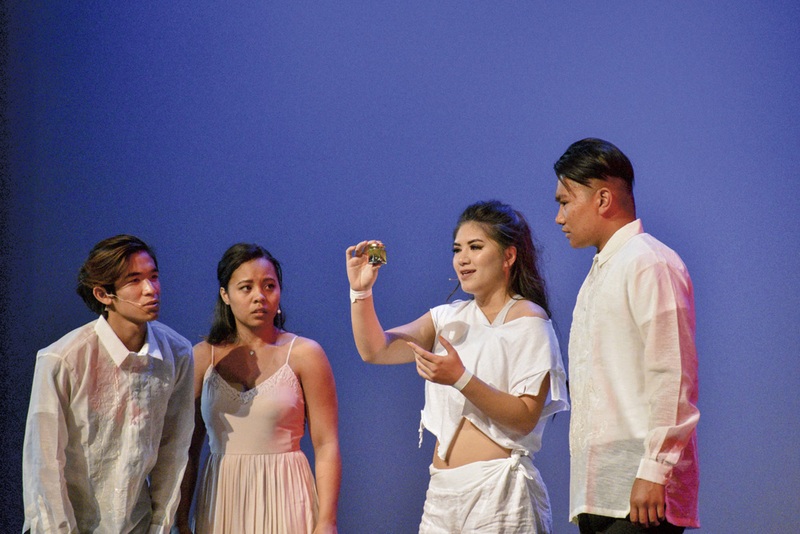 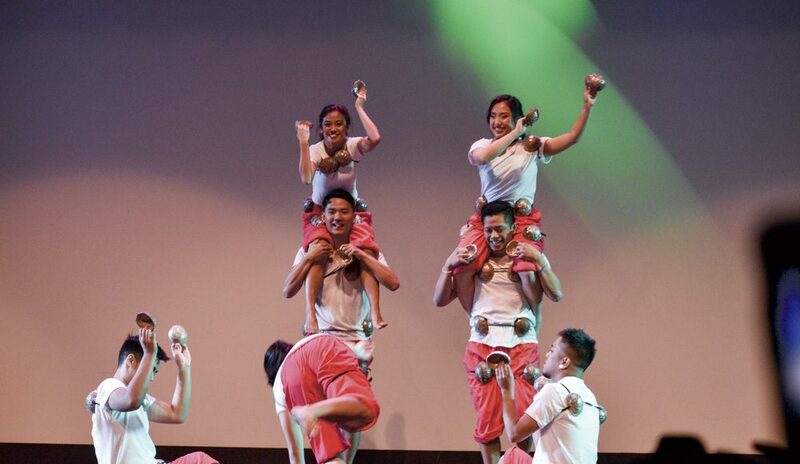 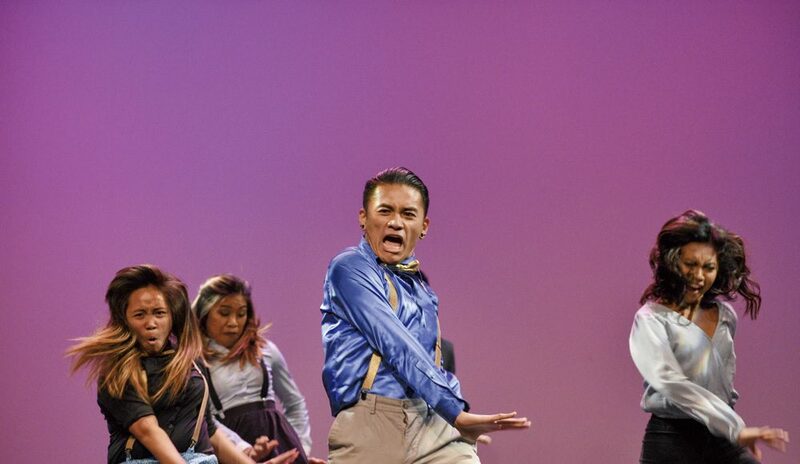 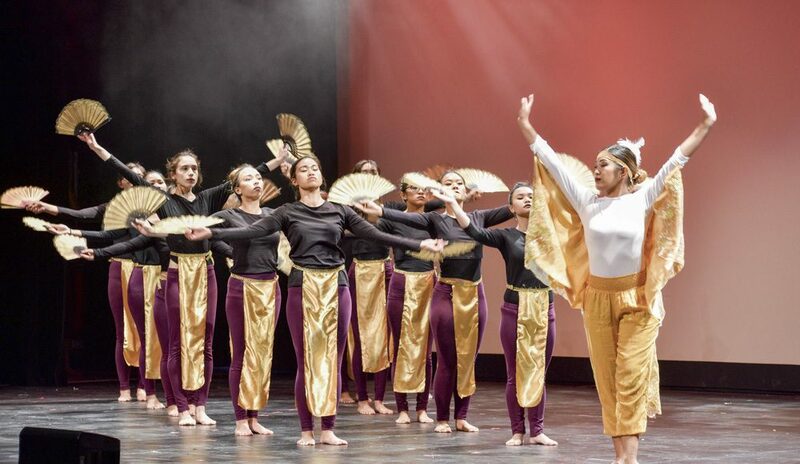 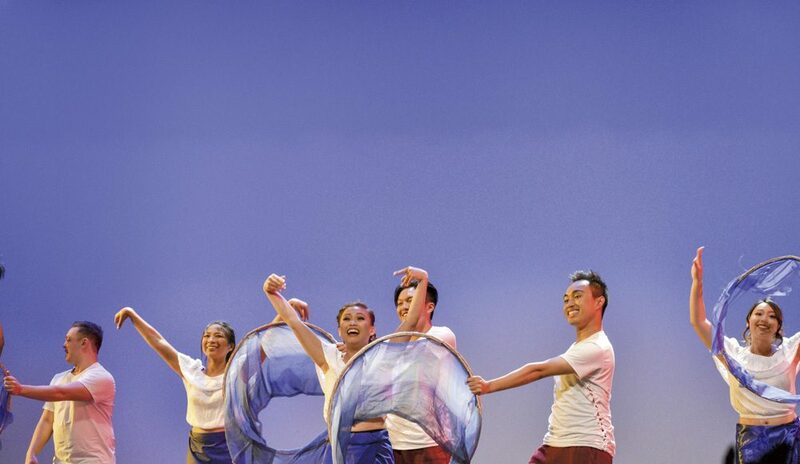 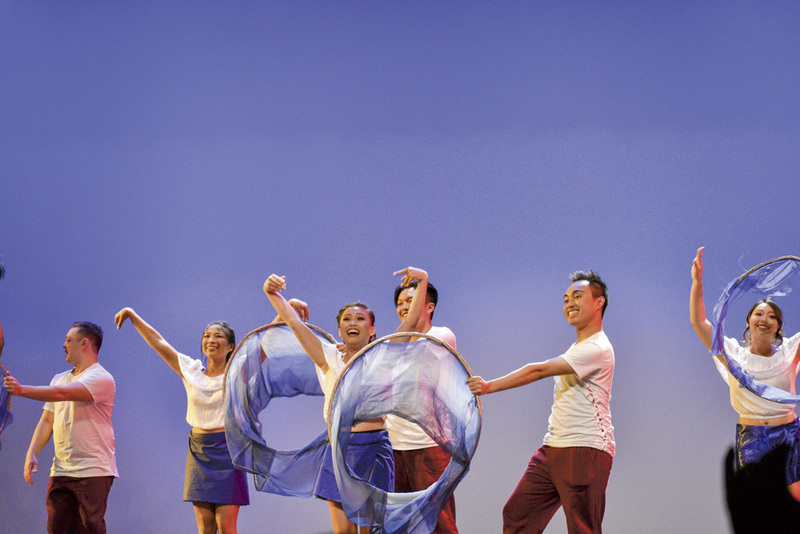 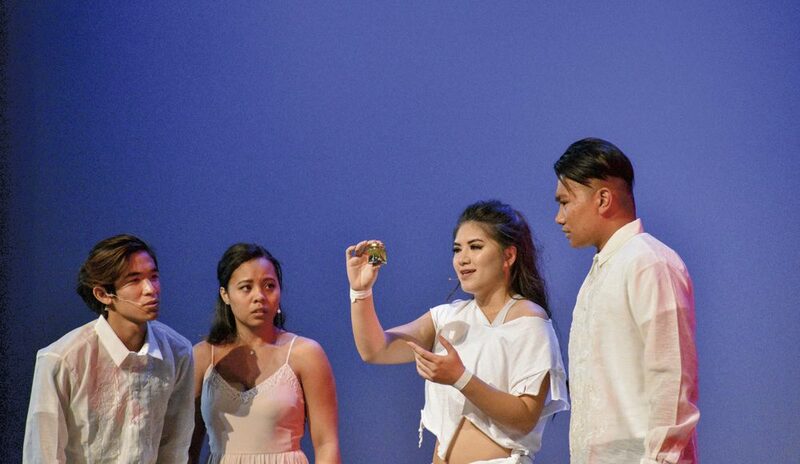 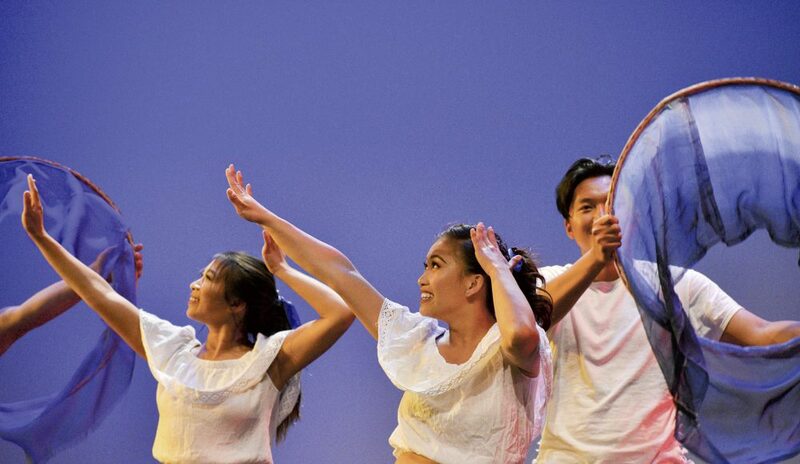 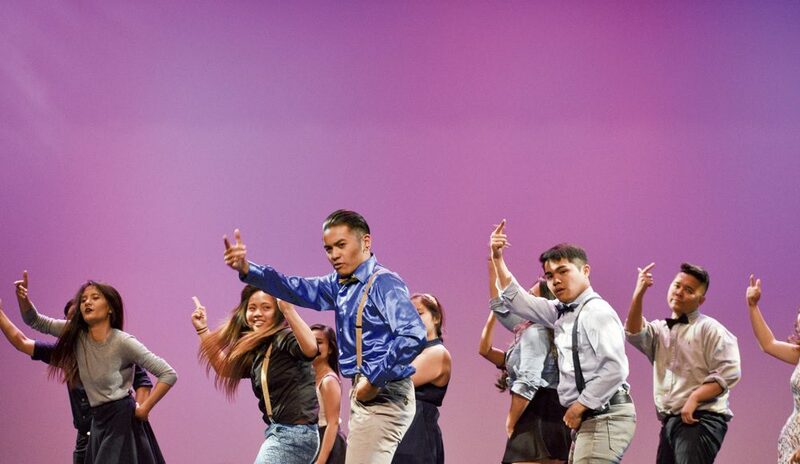 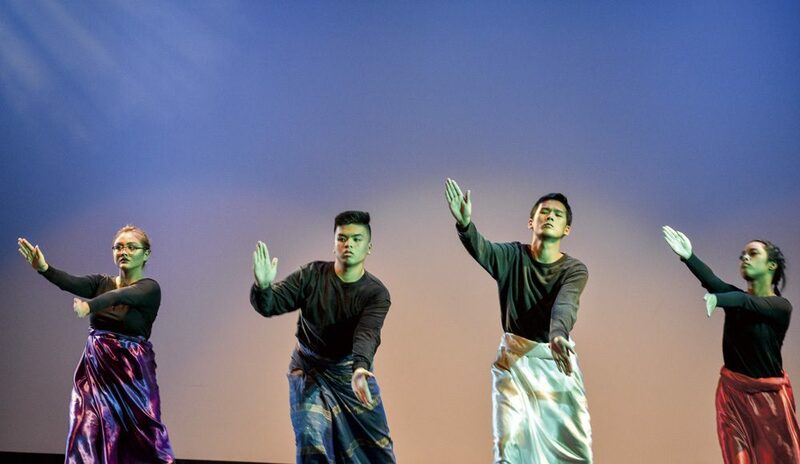 Students in UCSB's Kapatirang Pilipino perform a traditional dance. 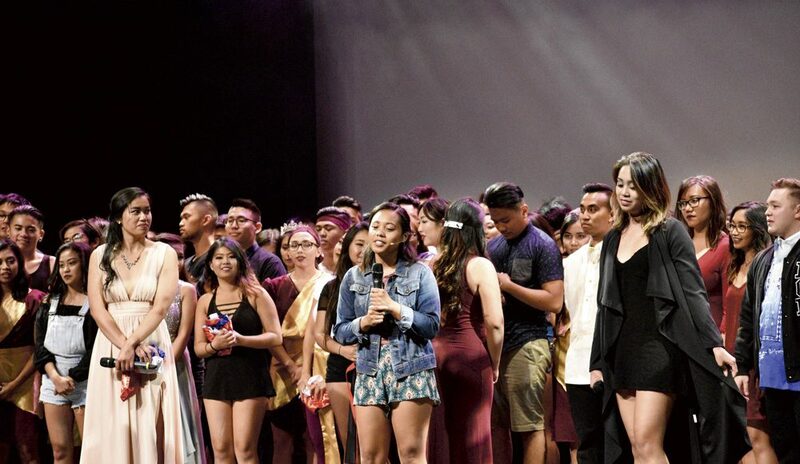 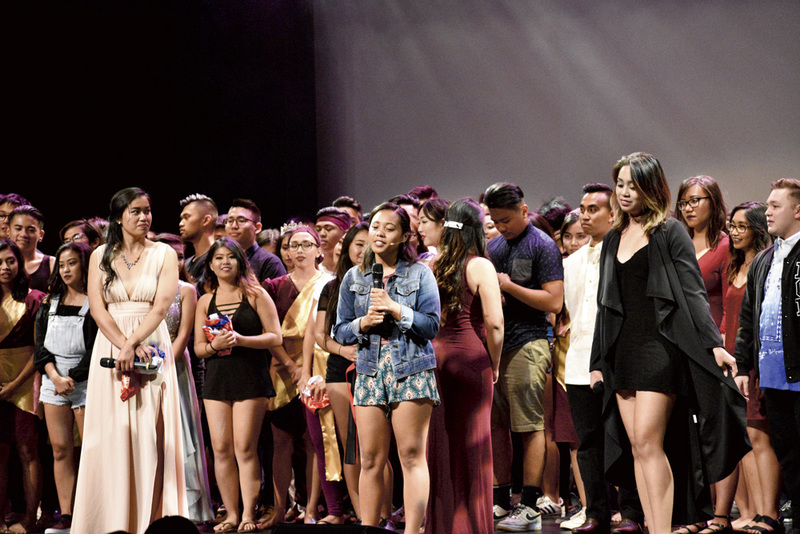 The Pilipino Cultural Night cast and crew come together to thank family and friends for support.